March saw Los Angeles’ Bicycle Casino play host to the second round of tournaments for the 2018 World Series of Poker (WSOP) Circuit. From March 3rd to the 4th, players battled it out to secure those coveted places in the Casino Championship to be held later this year in North Carolina. The Circuit has become something of an LA institution over the years, with a reputation for attracting huge numbers of top players when it visits the area. This year proved to be no exception, with experienced Californian player Ryan Buckholtz winning the Casino Champion title and old-hand David Pham coming out on top in the Main Event. Pham has been a steady fixture at the felt for the past 20 years, but now, he seems to be on a mean winning streak. Reminiscent of Chris Moneymaker’s infamous run-up to success at the 2003 WSOP, Pham is moving from strength to strength in this tournament. “The Dragon,” as he’s sometimes known, may well prove to be a formidable opponent in the championship. Come August, both players will go on to take their hard-won seats at the Casino Championship, running from 7th through the 9th at Harrah’s Cherokee Casino in the Smoky Mountains. They will be joined by Casino Champions and Main Event winners from every other venue, along with the top 50 players on the season leaderboard. The prestigious final event has been happening since 2011 and is a significant date on any solid poker player’s calendar. With LA’s relative proximity to that hub of all things poker, Las Vegas, the game has always proven popular in the area. A-list celebrities such as Mark Wahlberg and Ben Affleck, regularly indulge in their favorite pastime, at Sin City’s top venues. But what about LA? Well, the formation of the WSOP Circuit was the perfect opportunity for the City of Angels to join in the fun. The nature of the Circuit tournament allows players from across the nation, and indeed the world, to get in on the action and feel a real part of the poker renaissance without having to travel too far. The original World Series of Poker began in 1970 and was organized by Horseshoe Casino linchpin Benny Binion. 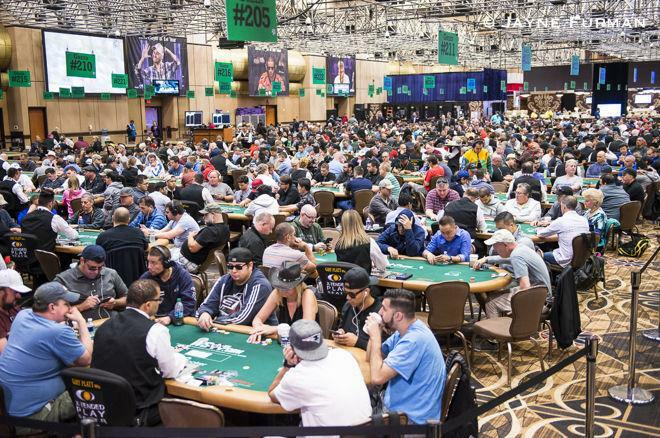 It had a relatively muted beginning but has always featured the most legendary players of the game, and over time, has risen to become the grandest, most-esteemed event in the poker world. Last year saw a record 74 bracelets on offer and an enormous field of 7,221 players in the Main Event. The Circuit tournament is brand spanking new compared to the established WSOP, but still, offers an impressive minimum prize pool of $1,000,000. The promise of a big payout and the prestige of winning bracelets attached to the illustrious WSOP brand draws some big names and talented players to the Circuit games. Past winners of the championship include Loni Harwood and Dominik Nitsche. It remains to be seen who will triumph at this year’s final Main Event, but with experienced, skilled players like Pham and Buckholtz in the mix, it’s guaranteed to be a spectacular show.